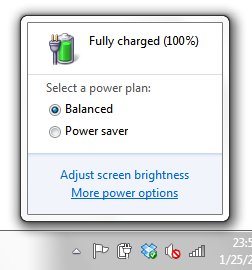 If you use your laptop on battery power, you’ll know how annyoing it is to lose battery power at the “worst time”. While I can’t guarantee your laptop will lose power at a more convenient time, I can offer ten ways to improve your laptop battery’s life. Learn, in this guide, how to save power when running on batteries. Skip to the end for a bonus energy efficiency tip. Note: This guide is written for Windows 7 but most tips apply for Windows Vista. A. Locate the switch on the side of your laptop (many laptops now have this) and turn your cards off. 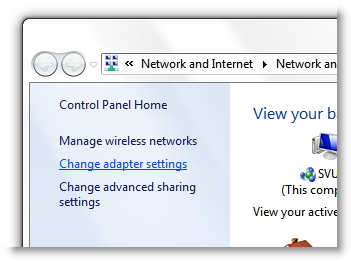 B. Click the network icon in the system tray and click Open Network and Sharing Center. In the left-hand menu, click Change adapter settings. 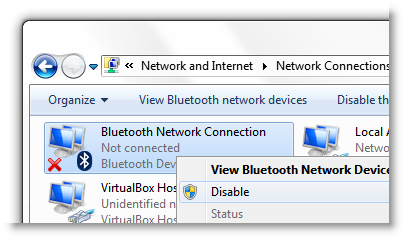 Right click your wireless connection and click Disable. Right click the Desktop and click Personalize. In the drop down list, select (None) and click OK.
You what your computer does to save power when idle. 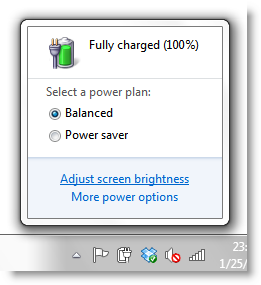 To do so, click the battery icon in the system tray and click More power options. Select Power saver and click Change plan settings. Lower the time it takes for your computer to dim the display, turn off the display, and sleep when on battery. Click Change advanced power settings to fine tune your power-saving preferences. Click the Start button, click Control Panel, and type visual in the top-right search box. Click Adjust the appearance and performance of Windows. Select Adjust for best performance and click OK. Right click the desktop and click Personalization. Click Window Color. Uncheck Enable transparency and click OK.
Click the Start button, click Control Panel, and type index in the top-right search box. Click Change how Windows searches. Remove all locations by unchecking them and click OK. The hotter your laptop gets, the harder your fans have to work to keep it cool. To minimize the power drawn by your fans, keep your laptop cool. If using it on your laptop, ensure there is proper ventilation. Never use your laptop on a blanket or soft surface where airflow is restricted. This will also keep your laptop working longer as hardware is less likely to overheat and fail. This final tip links back to tip number 5. When in the power options, click Choose what closing the lid does. I always set the lid closing to do nothing and the power button to put the laptop to sleep. This way, when I’m taking a break, I can put my laptop lid down (which turns off the display and saves power) without my laptop going to sleep. I’m also lucky because my laptop has a Display button that, when pressed, turns off my display. I found this button very useful when I sat in class and didn’t need to use my laptop but didn’t want to close and open the lid repeatedly. Click Start, type CMD, right click cmd.exe and click Run as Administrator. On the command line, type powercfg -energy to view a power efficiency report.